TORONTO, ON – Burdock Brewery has announced details of the fifth release in its series of collaborative beer and wine blends with Pearl Morissette Winery. This wine-beer love child is a blend of 40% full malolactic riesling and 60% mixed fermentation wild ale, barrel aged on orange wine skins from Pearl Morissette’s Cuvée Blu. Drinks like a bright luscious Friuli Spumante poured over a freshly scooped melon ball. 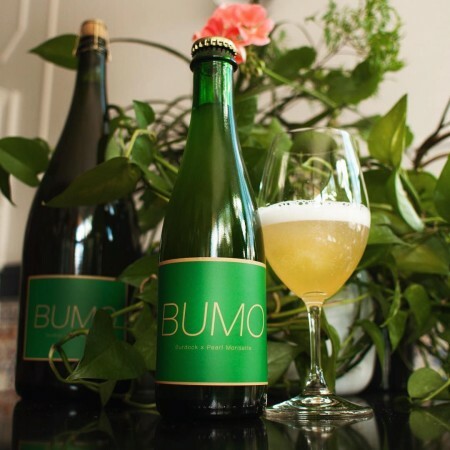 BUMO V will be released on Saturday July 21st in the Burdock bottle shop in a limited run of 900 x 375 ml bottles, selling for $14.75 per bottle with a limit of 4 per person. The first 50 customers will also be entered into a draw for an opportunity to purchase 1 of 3 magnums (1.5 litre bottles) of the beer.